Crawl through a 1D LED dungeon with TWANG! When you play a video game, the controls are normally a compromise between what you have available (a keyboard/mouse) and the actions you’re trying to convey. 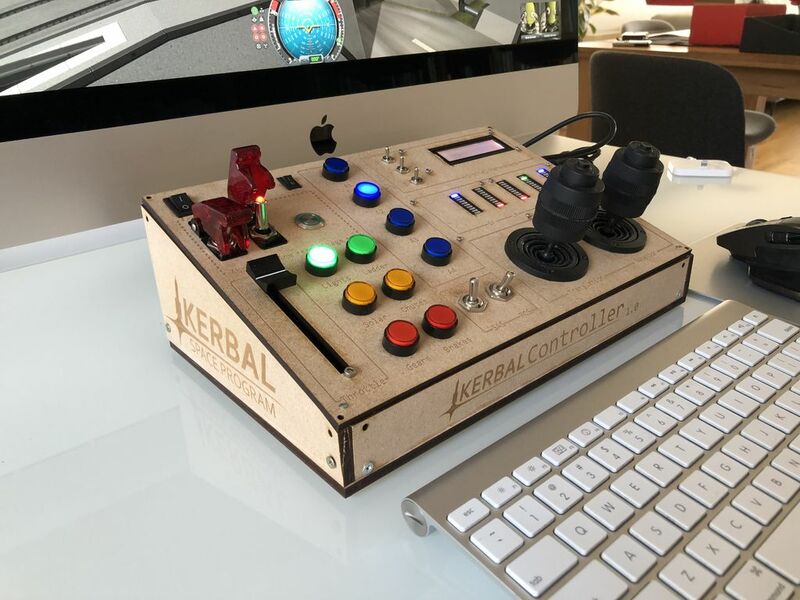 This, however, wasn’t good enough for Kerbal Space Program enthusiast Hugo Peeters, who instead of accepting this limited input method, designed a new control panel with an Arduino Mega as its heart. Notable features of his build include dual joysticks, a throttle slider, a multi-purpose LCD display, LED bars for fuel gauges, and a beautifully laser-cut enclosure. Want to construct your own? 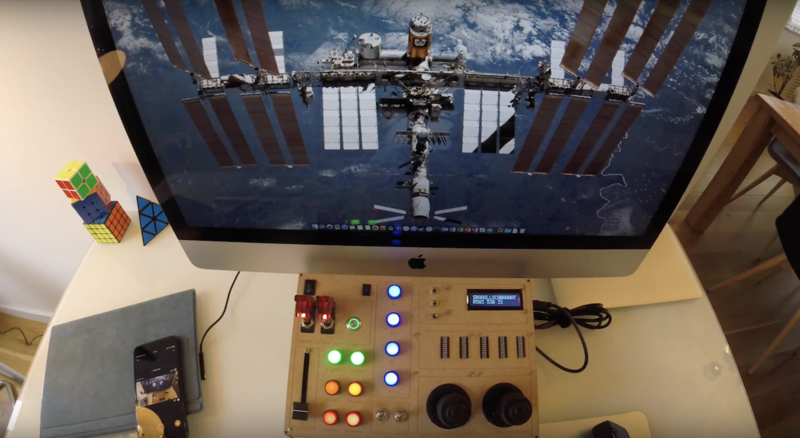 Find more details on the project in Peeters’ write-up, as well as the Arduino code he used and the KSP plugin necessary to interact with his new hardware. How bizarre to find my hobby project on the front page of rhe Arduino website! Thank you for the great compliment. Making this was only possible because others shared their work. That’s why I am also sharing my work in as much detail as possible. I invite everyone to build a better version and share their progress – and get help – on the KSP forums.